TechSIL Flat Circular EMI/RFI Shielding Conductive Elastomer Washers come in twelve different sizes and two different thicknesses (.031” and .062”). 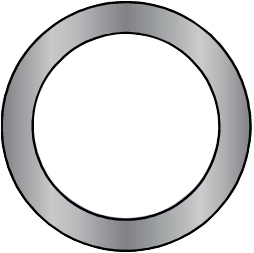 The Inside Diameters range from .250” to 1.000” with Outside Diameters ranging from .625” to 1.438”. 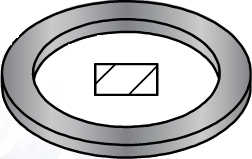 These Die-Cut Flat Circular Washers can be Die Cut out of all sixteen standard compounds. They are also available with Conductive Pressure Sensitive Adhesive. Additional sizes and compounds available upon request.